About Rick Bauer, Auctioneer for Father Time Auctions in St. Louis, Missouri. Roland R. Bauer III is currently a master personal property appraiser with Bauer Kloeckener Rose Appraisers of St. Louis, MO, whose primary clients are financial institutions, insurance companies, probate attorneys, probate courts and trust companies. Roland R. Bauer III was granted membership in the Certified Appraiser Guild of America; Master Personal Property Appraiser and Graduate Personal Property Appraiser designations by the National Auctioneers Association; USPAP Appraisal Compliant. 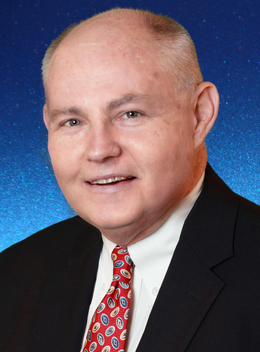 Roland R. Bauer III is currently an auctioneer and managing real estate broker with Father Time® Auctions and Real Estate, with 30+ years of experience for St. Louis Missouri and Southern Illinois, having sold assets and real estate in many cities in this market area and is qualified as an expert witness in the Saint Charles Missouri County Judicial District Court. Copyright © 2008-2018 All Right Reserved.